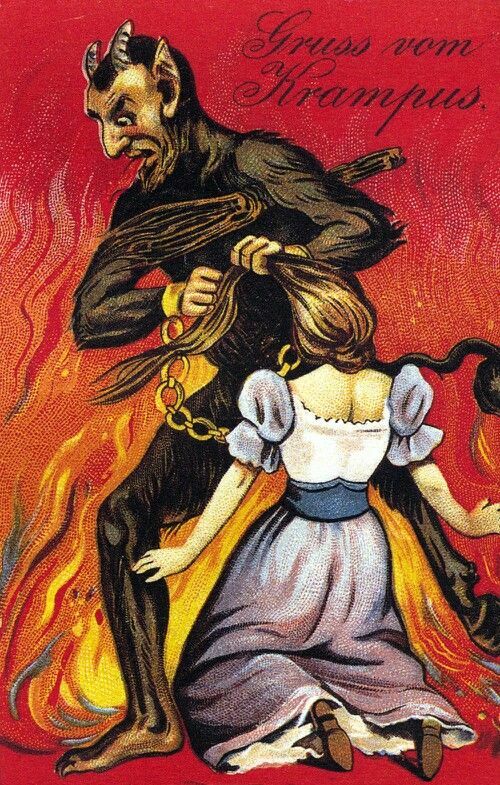 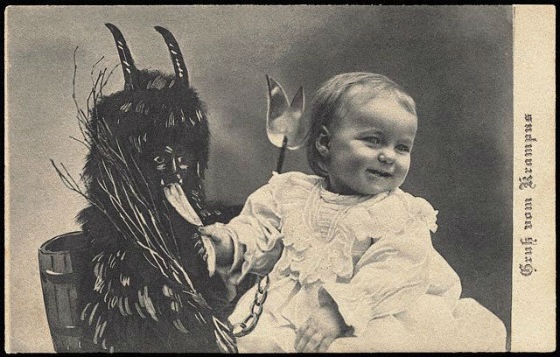 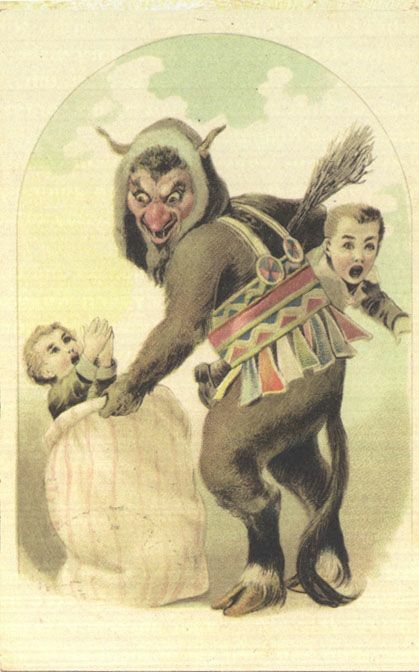 The Krampus is a terrifying creature believed to punish naughty children during the Yule season. 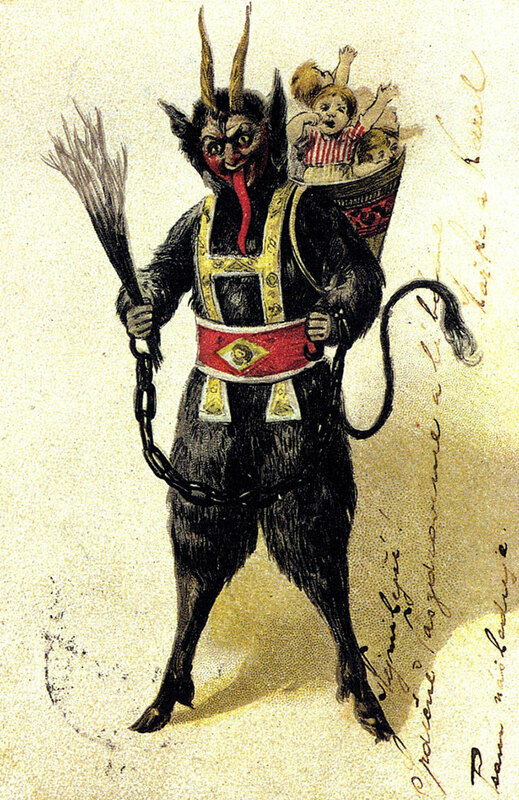 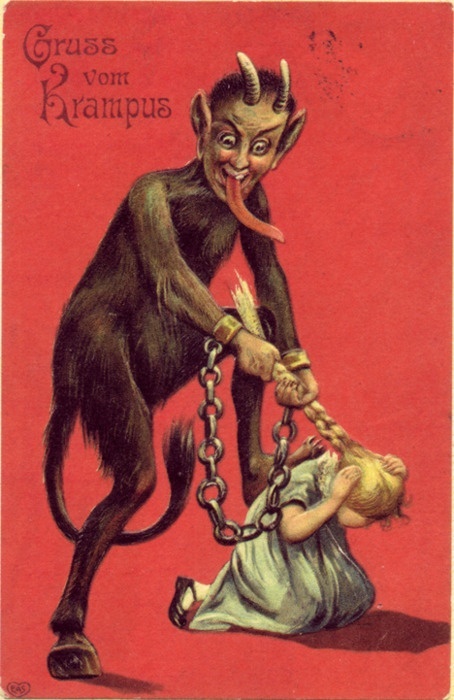 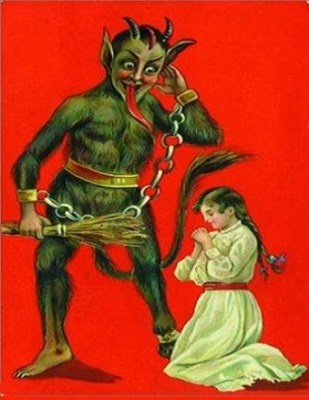 Krampus is the terrifying horned companion of St Nicholas said to punish naughty children during the Yule season. 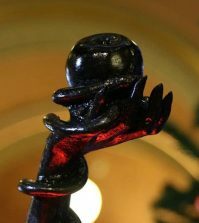 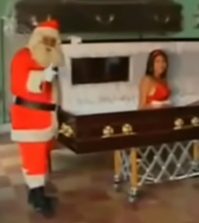 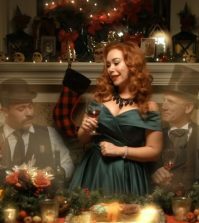 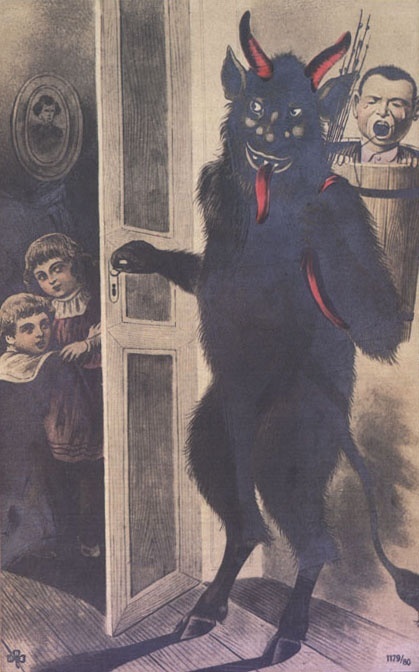 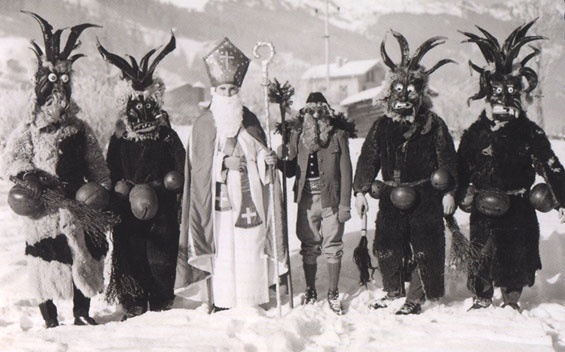 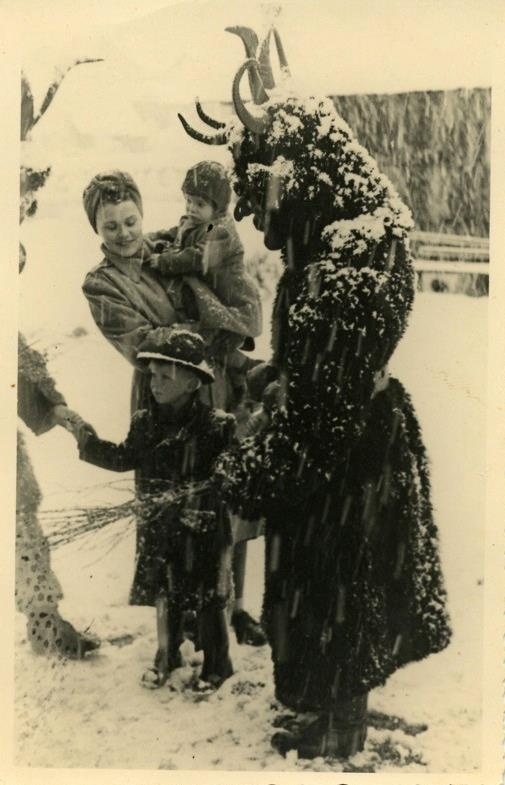 While St. Nick brings gifts to deserving children on the eve of December 5th, this night is known as Krampusnacht, or Krampus Night, in German folklore. 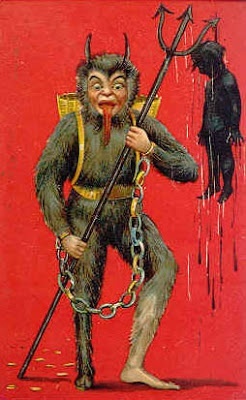 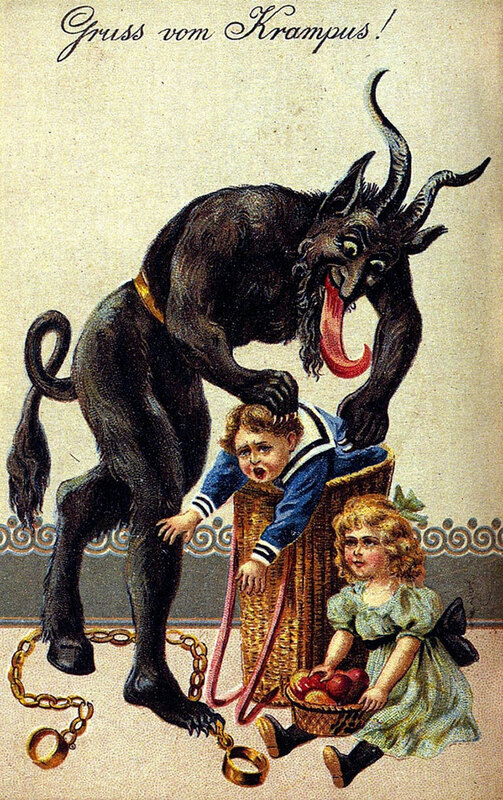 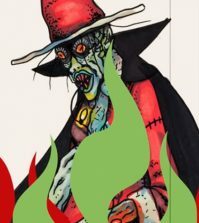 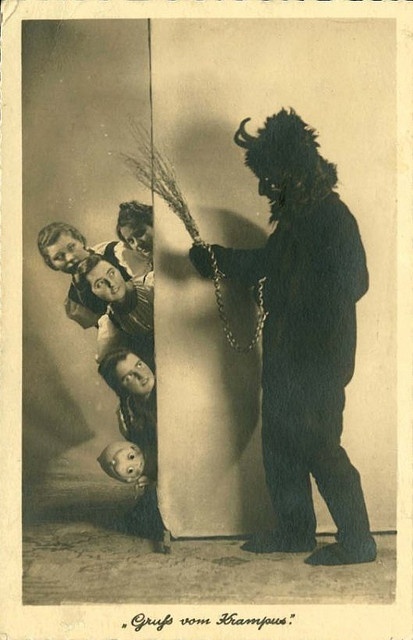 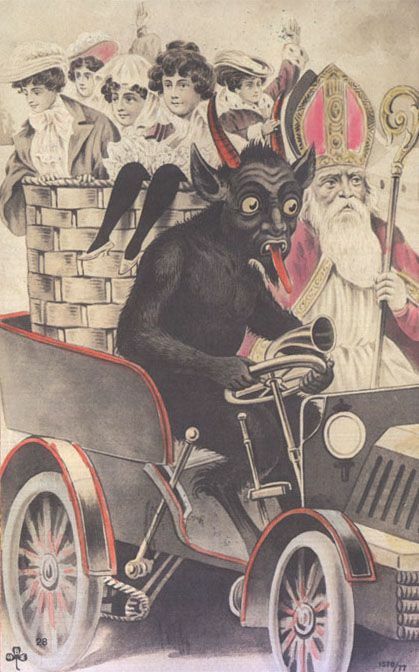 Krampus roams the streets at night in chains and bells, on the lookout for children who have misbehaved. 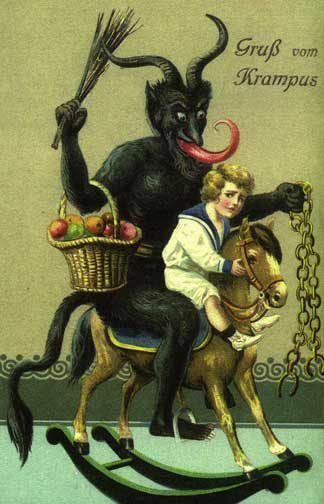 He captures them, stuffs them into his sack and carries them off to his lair for drowning or eating.